Charter Bus Gainesville, FL. Gainesville Charter Buses in Alachua County, Florida offer cheap airport shuttle bus service to Gainesville Regional Airport (GNV) or any domestic or international airport nearby. Our Charter bus rentals in Gainesville are ready to pick you up and drop you off with our courteous and pleasant door-to-door chauffeur service, and complimentary baggage service. Our drivers will hold a sign up for you in baggage claim, giving you first-rate VIP treatment. 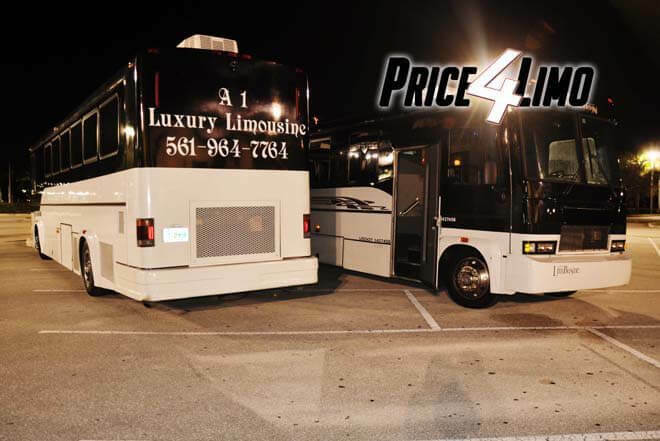 Price 4 Limo's charter bus service in Gainesville can be used as a great tour bus or activity bus for a tour group visiting the largest city in Alachua County. Our University of Florida bus rentals and Spring break party buses are great for a trip to Daytona Beach or The Clubs in Orlando. Hire a VIP Bus in Gainesville for a trip to the Florida Museum of Natural History or the Paynes Prairie, a nature-lover's dream. 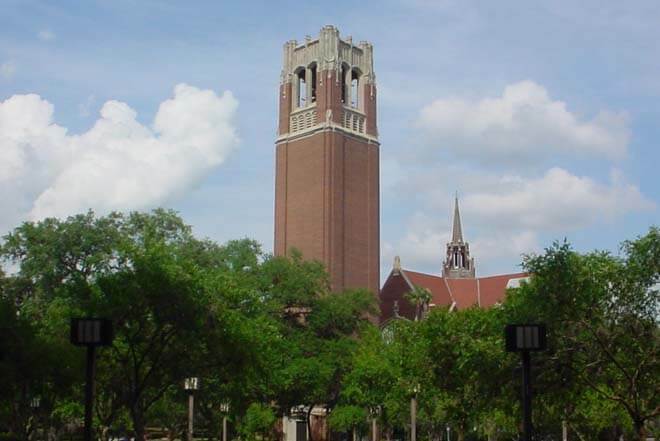 Gainesville Charter Buses in Alachua County offer cheap luxury transportation services for college students at Santa Fe University or the University of Florida, one of the largest campuses in the United States, at an affordable rate. 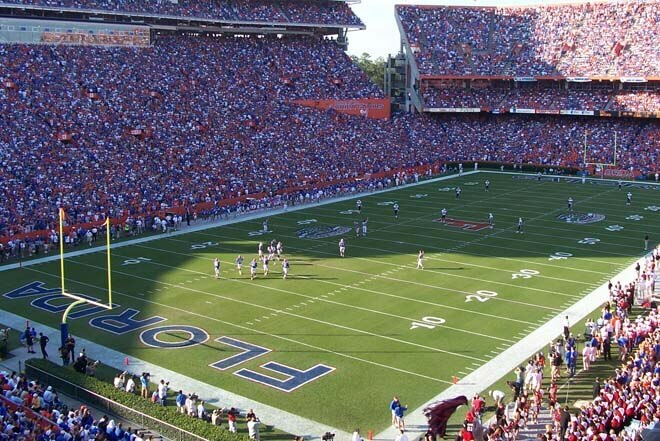 We make "Gator Nation" Transportation fun with a tailgating luxury charter bus ride to Ben Hill Griffin Stadium at Florida Field (a.k.a., "The Swamp"). In fact, all of our services are offered to anybody no matter what the occasion for a flat rate. Our charter buses can be used to visit the beaches for Spring Break or to catch a great concert, where no one has to worry about finding parking or driving after a few drinks. Just enjoy the sun and have fun. Worshippers and groups observing religious holidays have used our church buses for inexpensive rides to synagogues, churches, and mosques. With our variety of fleets, you can use the Gainesville Bus Service for proms and homecomings and weddings -- there are so many things to do in Gainesville why not let our skilled drivers take you to all the sights? Take a Shuttle Bus in Gainesville to the Downtown Community Plaza for a day of outside sports including golf and archery or fun exercise or relax at Kanapaha Botanical Gardens, where the gorgeous plants and flowers will take your breath away. Hire our Gainesville Corporate chater bus service so we can shuttle you and your company to the conference hall and then to one of the many great restaurants and bars in Alachua County, such as the Paramount Grill , where you'll taste some of the best cuisine Florida has to offer. If you are traveling with family, take a field trip to Butterfly Rainforest, where your kids party attendees can see over two dozen species of butterflies or catch a performance at the Hippodrome State Theater. 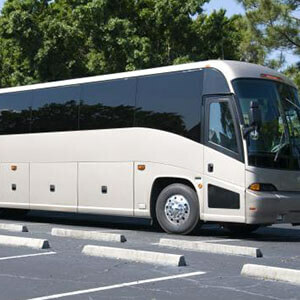 With Gainesville charter buses everyone will arrive in style and leave chatting about the performance before making their way to dinner at Emiliano's Café. Maybe you're an architecture buff and want to spend the day at the Thomas Center, where you can relive the 1920's in this Mediterranean-Revival style hotel, with artwork and designs from the 1920's. You can do all this and more, but why deal with all the traffic and congestion? Let our mini bus and shuttle service keep you relaxed and calm and excited about your visit. 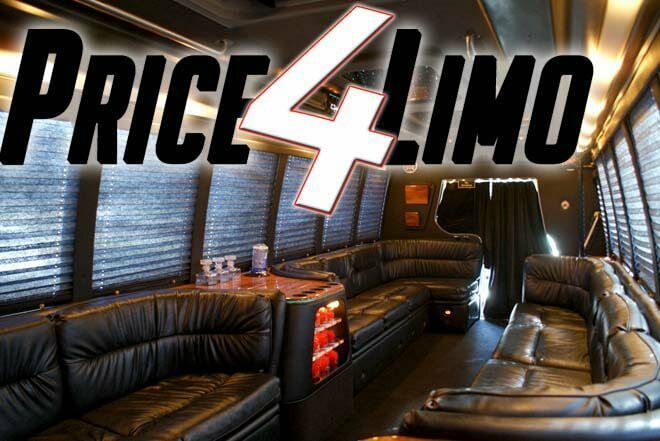 Price4 Limo's Gainesville Bus Service will take you and your guests anywhere in Florida safely and in comfort. Our affordable Driver-for-Hire coaches include high-end courtesy service and extra storage space. Whether you need to stock up on food at the a local supermarket before heading to the beach for a barbecue or you're on a family vacation to the Everglades, Price4Limo will find you the very best and most affordable Gainesville VIP Charter Bus service.